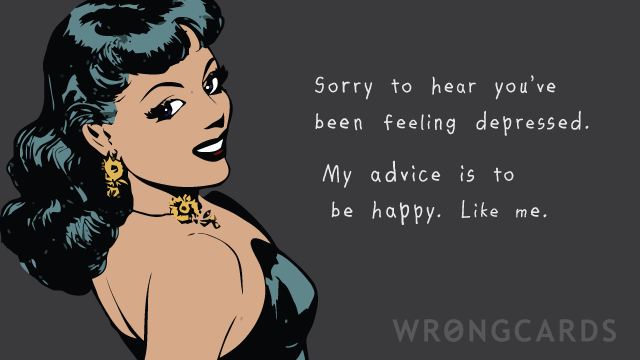 Concern Cards will let you express regard - or, rather disregard for someone. As Greeting Cards these are a little useless and sending them to people might even be considered tasteless but people have all sorts of ill-founded opinions and what do they know, really? Now, I could jibber-jabber through a list of reasons not to send a wrongcard to anybody but you have probably stopped reading this by now. Why do I do this? What was I ever thinking? This is the stupidest start-up idea anyone ever had - and makes my ‘Theme Park for Sheep’ idea seem brazenly lucrative. I’m wasting my potential. 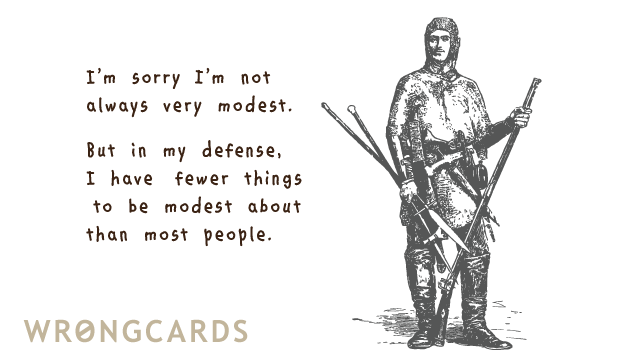 There is nothing worse than people fretting about frivolous things. Well, being pecked to death by half-starved ducks is probably worse. Also, being followed around by the same pigeon for weeks was pretty rough when that happened to me recently. I had to keep buying it fries to prevent it from brow-beating me. Stupid bird. So often in life we find ourselves making mistakes. In fact, what would life be without its little errors? Dull and tedious, I say. So, logically speaking, if you want a full and rich life you should always have some well-turned apologies prepared in advance. Sometimes it’s better not to say you’re sorry in person because you might start snickering and seem insincere, so the most ideal thing to do is send along a short note. Of course, when you need to apologize you don’t turn to wrongcards unless your judgment is very unsound, in which case we have a wide assortment of cards to express how very sorry you are indeed. Enjoy! Sometimes people we like very much abandon us for their own selfish pursuits, taking vacations or business trips without caring if we will feel lonely. In which case you should first pawn their valuables to teach them a lesson. And because they haven’t adequately prioritized your needs for entertainment and diversion, you should start guilt-tripping them right away. When they know how much they have wronged you they will soon return home in apologetic tears. How long it takes you to forgive them for abandoning you is up to you. So send them a Missing You Card to get the ball rolling now. Sometimes we are compelled to express gratitude and say thank you with a card. For instance: someone makes you a pie or helps you move the body of a dead clown or dispose of a particularly incriminating axe. The point here is that it doesn’t cost anything to send one of these Thank You Cards and in some cases it might even make you look pretty nice, which can be handy later on if you decide to see if you can convince them to sleep with you. Look, we’re just saying. Excuses. We all need to excuse ourselves occasionally from attending a party. Or abstain from doing something someone wants us to do because we don’t feel like it. Sometimes our excuses are sound enough. It’s just that our friends and family aren’t always reasonable people who understood that sometimes we don’t want to do what we’re told. Sometimes we’d rather drive nails into our legs than attend one of their awful, you know, events they plan. Dinners. Wine and Cheese Nights. Orgies. Such events with family can be a little distasteful. 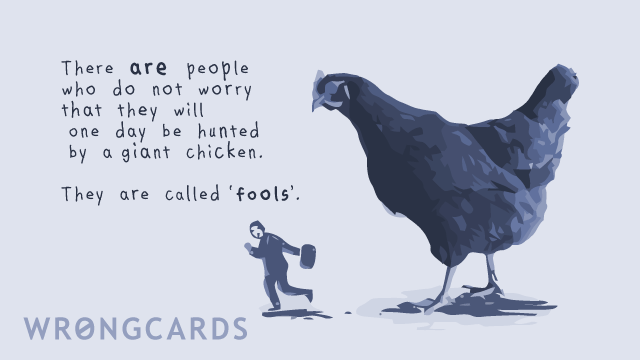 So these Excuses Cards should help you extricate yourself from said awkward scenarios. Some of them are even believable. 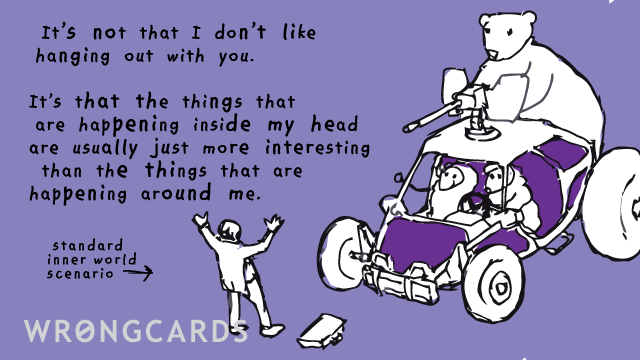 They’re probably a little inappropriate but that’s what you get from free ecards, cheapskates. You know how awful it can be when a friend gets sick and you want to tell them you want them to get well soon, but you don’t watch to catch their awful swine flu germs? 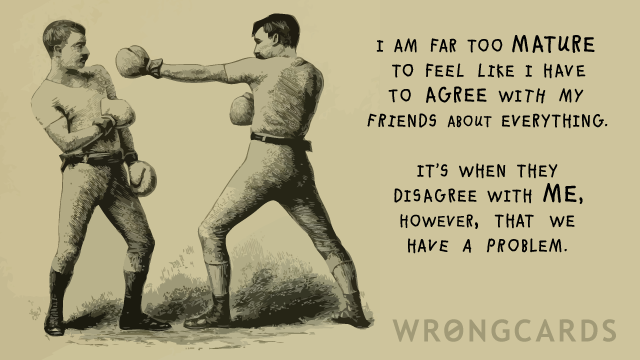 Well, all you have to do is send a get well card from wrongcards. These cards will help you seem like you want them feel better without your having to go over there when they’re at their most boring and contagious. 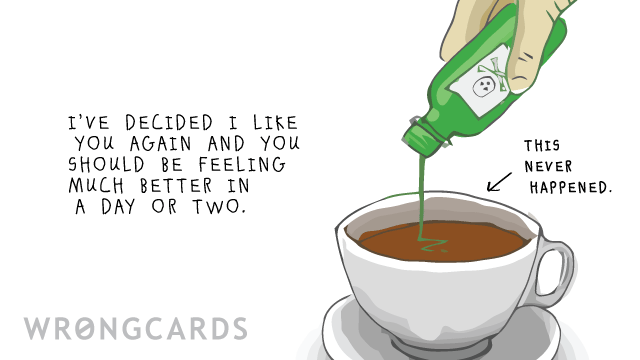 Incidentally if things don’t pan out well with your aforementioned sick friend don’t forget we have sympathy cards. A little bit self-promotion there. 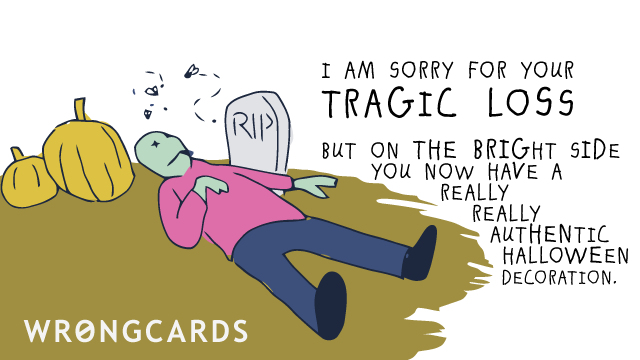 By the way, these sympathy cards, like all the others, are free to send. Woot! Sympathy doesn’t get any cheaper than this! You can remind people to remember important things with one of these reminder cards. It is generally considered to be a good thing to consider the needs of others, and this desire to send along some crucial advice urging them to bear certain things in mind is a clear sign that you are both thoughtful and caring. This observation is, however, completely undermined by the fact you’re about to send a card that is wrong for every occasion. 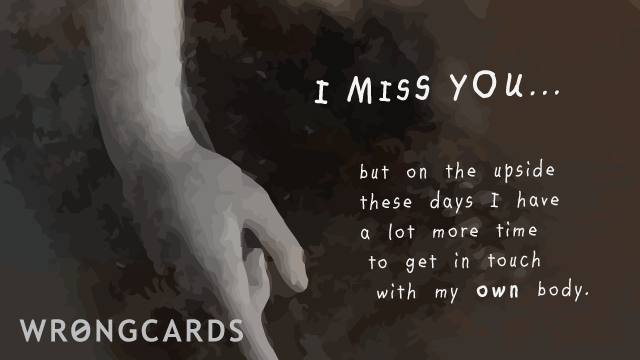 You could use one of these cards as an alternative to our thinking of you cards. Just remember that some of them are very, very wise and pertain to highly specific instances you will never see anywhere else. The cards are terrifically useful provided they are not sent as sympathy cards. They offer little in the way of actual condolence and they’re not very sympathetic but they might help you rejoice in life. Brief and uncertain as it is.